Aires: There will be a lot of energy in this relationship. But both of you are self centered and there could be some competition. Taurus: There will be lots of attraction in the beginning. Both of you appreciate nice things but will have to work hard to make this relationship work. Gemini: A very “caliente” romance! A sexual explosion! Plenty of intellectual and social affinity. Cancer: You like an active social life and he prefers to be at home. Do you think it will work? 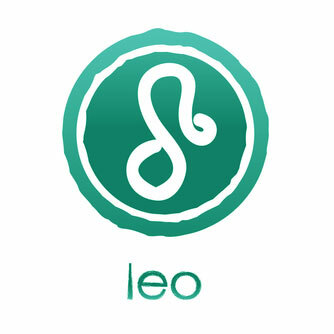 Leo: Of course you can get along! But there might be some competition to see who shines brighter. Virgo: Great combination. Both love fashion and can find a style that makes you feel good. Libra: A relationship full of life and warmth. Both of you are refined and like nice things. Scorpio: An exciting and dynamic relationship with strong sexual energy. Sagittarius: A very dynamic combination. You’re both full of energy and enthusiasm. Love at first sight. Capricorn: Since Capricorns are usually the serious type, he loves being with you. He likes the good things in life and is very ambitious. Aquarius: He is basically a mystery to you and you are very different to him. Pisces: He will fulfill all your fantasies. They are chic and like to be noticed and respected. They are spontaneous and friendly. You should invite her to dinner at your home and throw red rose petals everywhere from the front door to the bedroom door. They are authentic, loving and generous in everything they do. They love attention and they are very dramatic. Pay attention to him when he is talking and also make sure not to look indifferent. Leo loves luxury and comfort, and of course to be the center of attention. They love to make an IMPRESSION. Don?t ever forget to give them a gift on an important date. Leo Gals: Give her big jewelry in gold or a big gem pendulum. If you send her flowers, send the most expensive and impressive ones in the flower shop. Buy her a Chanel bag or a bag that makes a big statement. Leo Guys: He would love any expensive outfit that makes him more handsome and flashy. He would love (if you can afford it) a Mercedes car or a gold watch or a gold neck chain. Make him feel special, plan a romantic night, spread red rose petals from the front door to your BED! And wear red or gold lingerie to impress him.